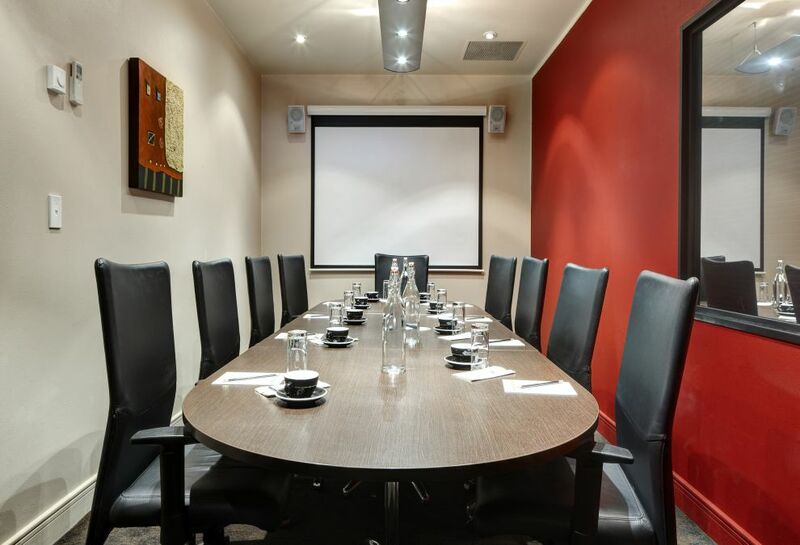 A modern and stylish hotel on Lambton Quay, CityLife Wellington hotel’s Executive Boardroom is ideal for small meetings of up to 10 people. It’s an adaptable meeting room guests can use to make their presentation pitch-perfect. Modern AV facilities and catering are available, plus spacious fully-appointed suites and gymnasium for overnight delegates. The hotel’s central location will suit delegates requiring an independent meeting space yet is close to company offices. CityLife Wellington hotel’s Executive Boardroom is ideal for small meetings of up to 10 people and is approximately 18 square metres. Modern AV facilities and catering are available. Choose to convert part of your suite into a private meeting room. To make a great impression, hold a fully-catered meeting.